Nice illo- I really like the texture and patterns you have going on. I also like the simplicity of it. So glad your back. I've missed your style!! Great piece! Love your style and line work. Lovely illo! Brilliant style, m'dear! She is just beautiful and very, very stylish. Love your colors and line work. 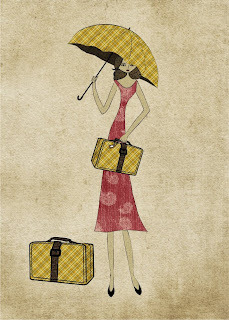 Very nice illustration for packed. Wonderful color and textures-- excellent illustration! gorgeous, the colors and textures are lovely. AmandaIEC, TOP3 trading company in Yiwu China, No.1 trusted, professional, affordable yiwu agent provider. Need one stop solution service? Contact now!